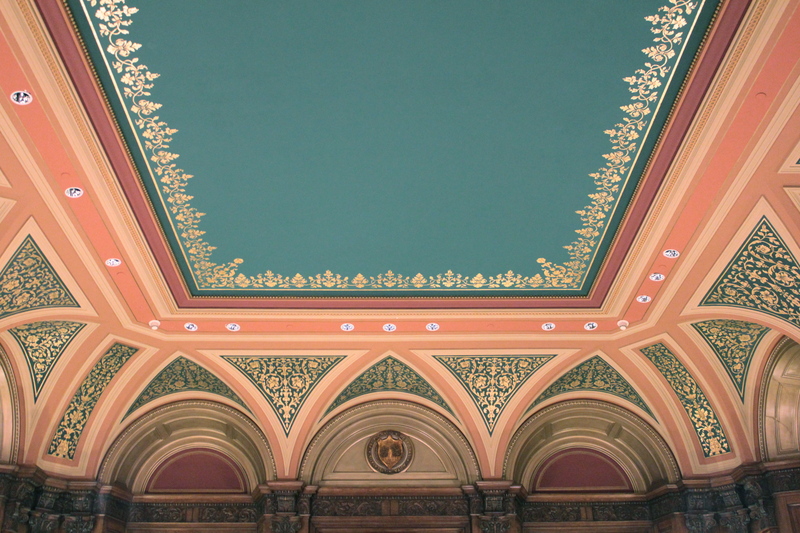 The seal of the Town of Arlington decorates the central arch over the fireplace in the reading room at Robbins Library. January 6, 2012. 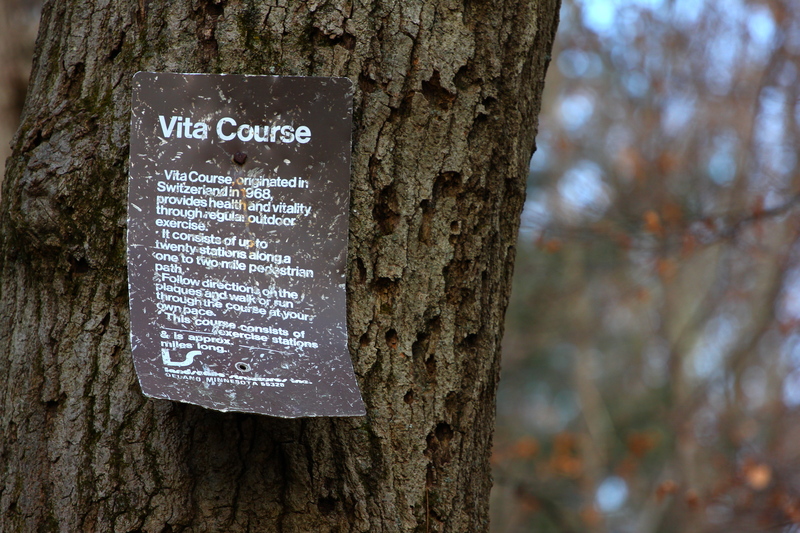 A beat up sign introducing the Vita Course in Menotomy Rocks Park. January 19, 2012. 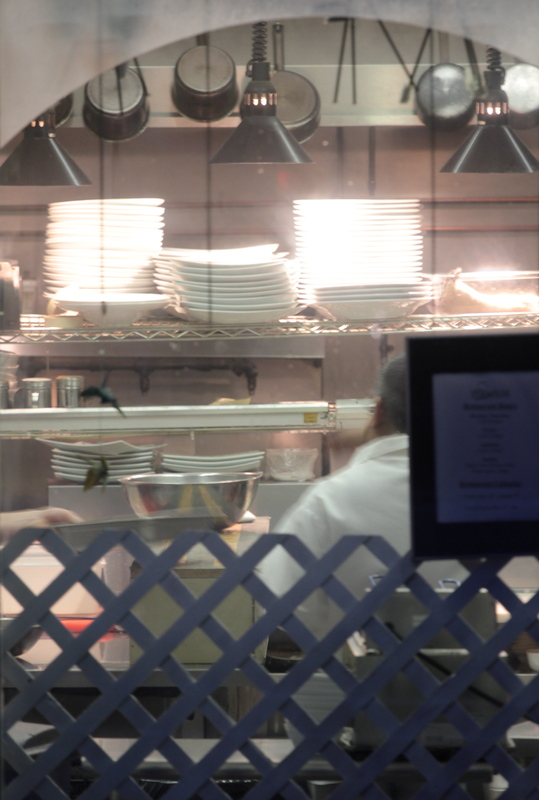 Plates glow in the kitchen of Scutra restaurant on Summer Street. February 28, 2012. 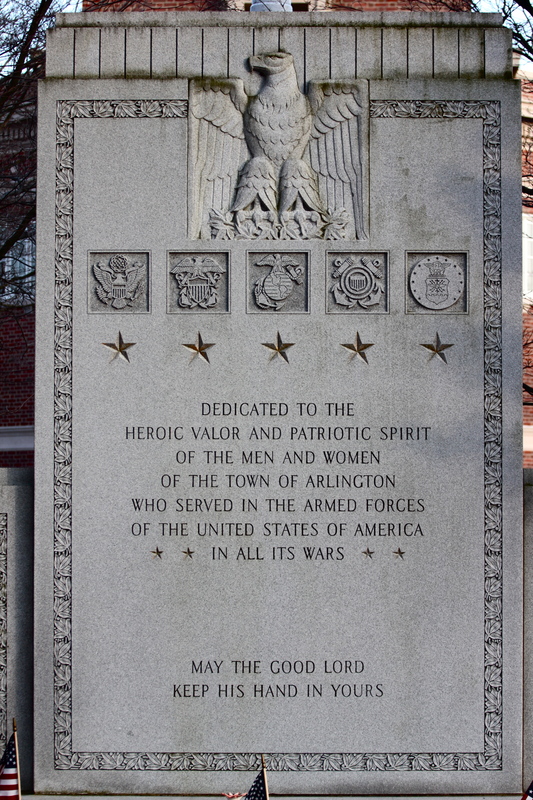 The memorial in Arlington Center to all those Arlingtonians who served in the armed forces. March 13, 2012. 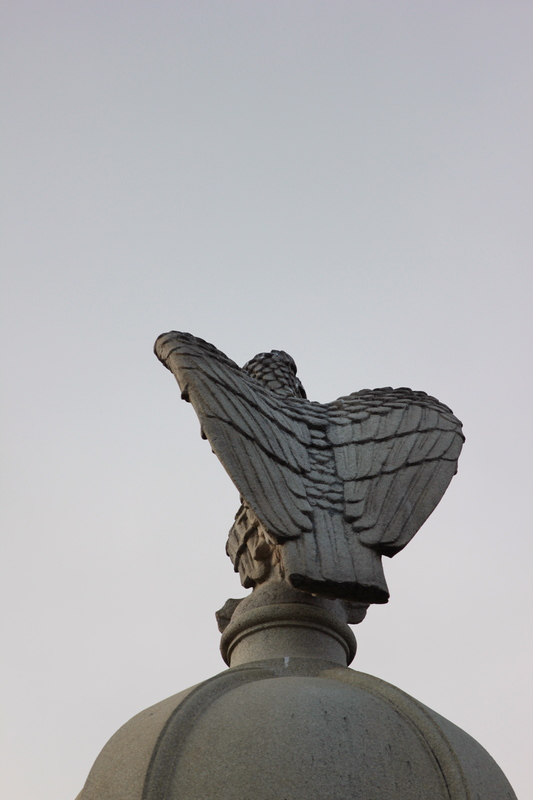 The bald eagle forever perched atop the Arlington War Memorial in Arlington Center. March 13, 2012. 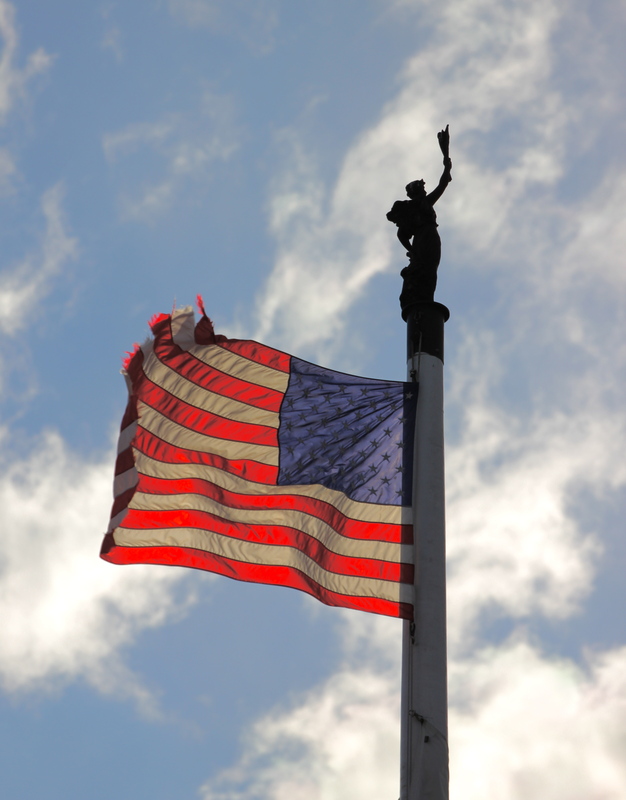 “Allegory of Massachusetts” by Cyrus E. Dallin in silhouette atop the Robbins Memorial Flagstaff at Town Hall. April 4, 2012. 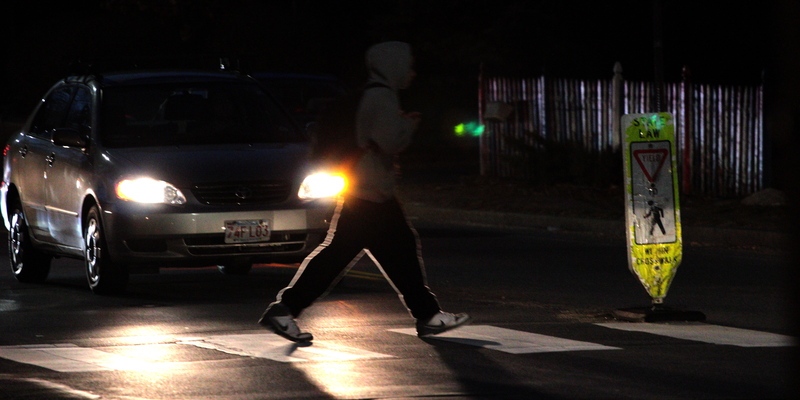 A car stops to let a young man cross Summer Street at dusk on February 28, 2012.